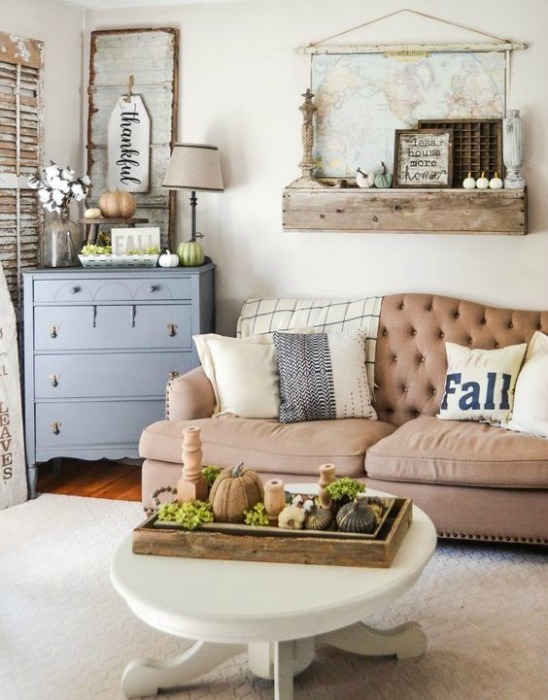 Be inspired by these fall family room decorating ideas – filled with neutrals, cozy textures, and rich colors. I just love fall decorating! In previous years, “fall decorating” meant going to the craft store and buying all the pumpkins and all the fall knick knacks. But the past few years, I’ve changed the way I decorate seasonally. Sure, I still go to the craft store and get some pumpkins (because I can’t change THAT drastically!) But I have worked on bringing in more natural elements and a feeling of fall. To me, fall is cozy, warm, comfortable. You don’t need all the fall things to convey that feeling in your own home! I shared all about our cozy fall family room here. If you have blue tones in your room like we do, I have some good ideas for how to incorporate fall decor into your family room! Click here to read it. 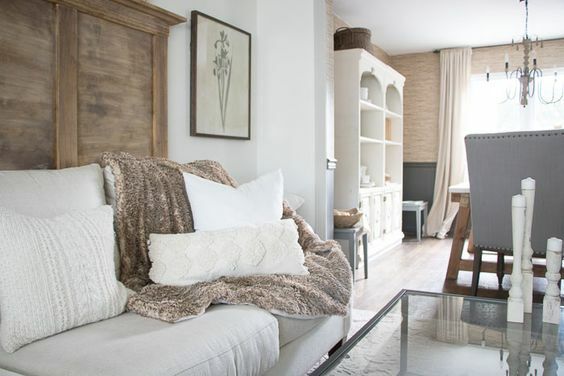 A touch of plaid is just lovely in this room from Little Glass Jar. 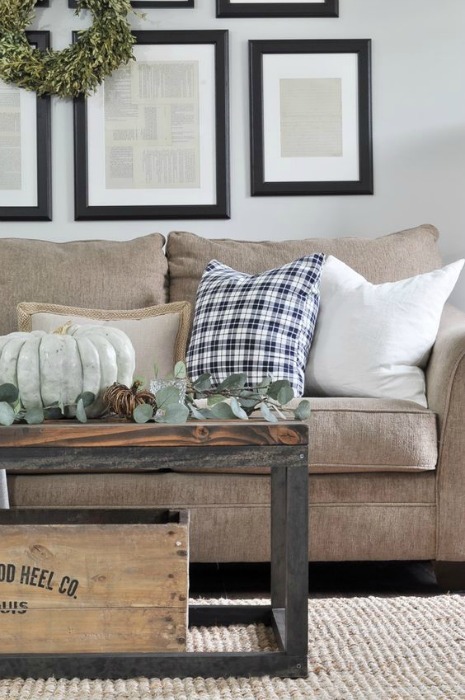 This family room keeps it casual with eucalyptus & pumpkins on the coffee table, and that cozy plaid pillow. 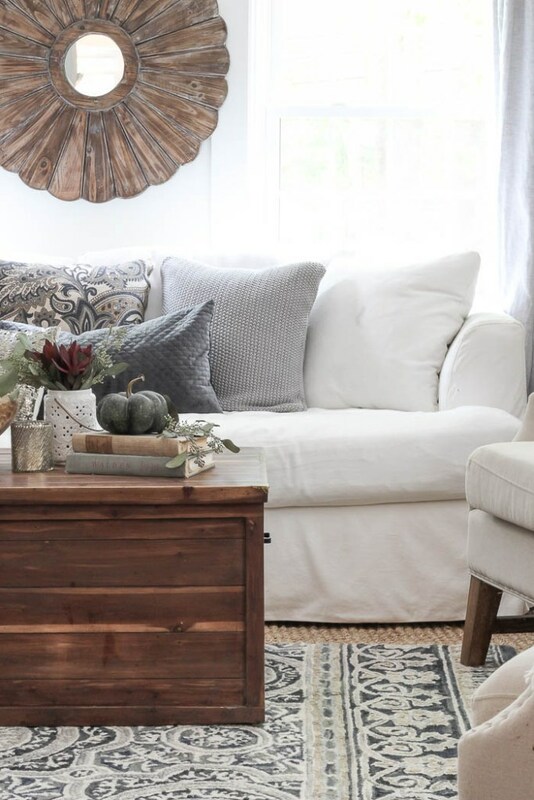 The combination of weathered wood, greenery, and neutral pumpkins with a textured throw is perfect fall decor! 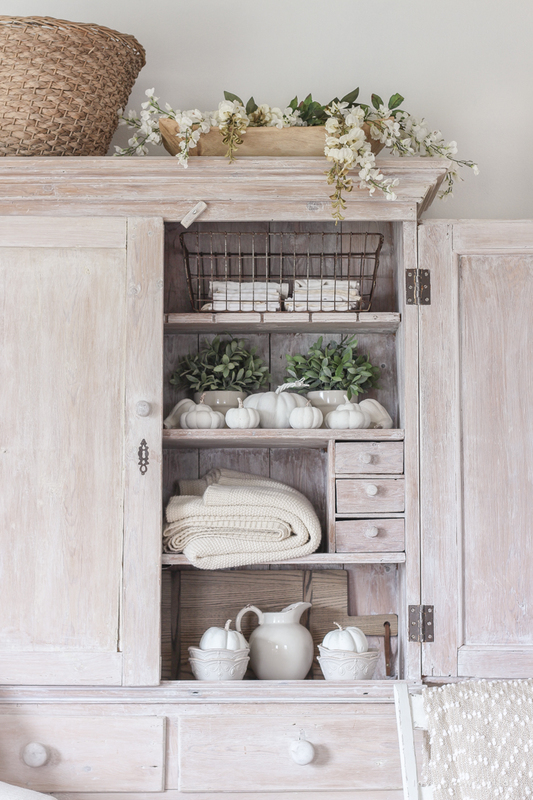 It’s understated and simple – check out the whole home tour from Love Grows Wild here. 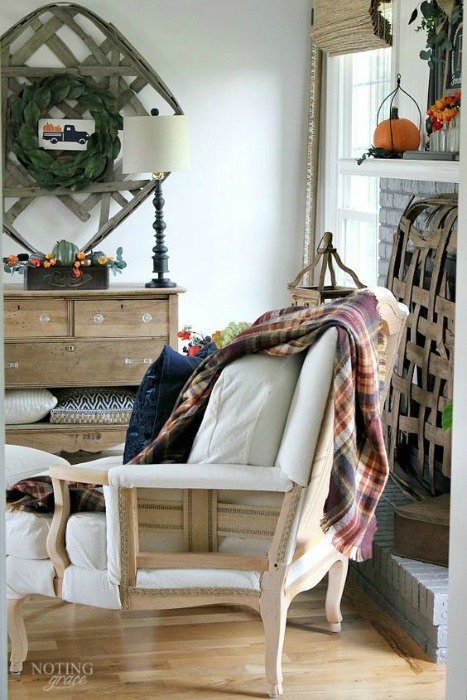 Again, wood tones + greenery and a little pumpkin = perfect fall decorating for your family room! 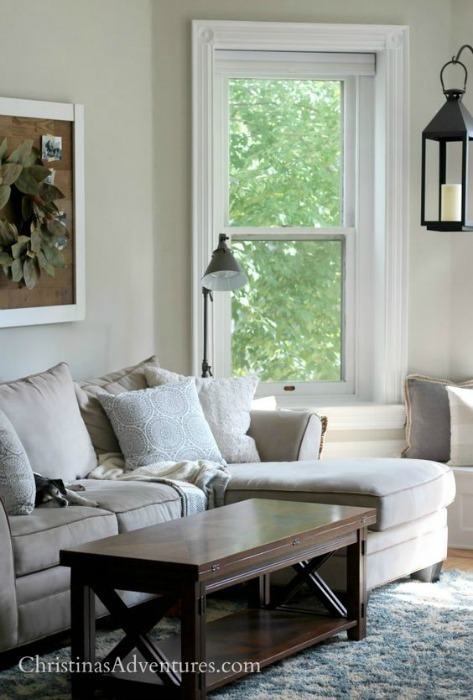 Rooms for Rent blog shows it doesn’t have to be complicated to be beautiful. If you’re not into neutrals, it’s OK! This family room from Noting Grace beautifully showcases navy and orange in the classiest way possible. Sometimes it just takes a cozy throw blanket to welcome fall into your family room – this picture from Seeking Lavender Lane proves that point! This room from My Creative Days is beautiful & simple – take a note from her and consider adding some typography to convey a comfortable, casual feel. I *never* would have thought that pale pink would look so good in a fall family room, but Cami from Tidbits proved me wrong! What a beautiful color palette – adding those natural touches really makes all the difference. Make sure you pin individual images from each blogger by clicking onto their site & pinning from there. I have a collage of images you can share on Pinterest by clicking here.